Hi there! 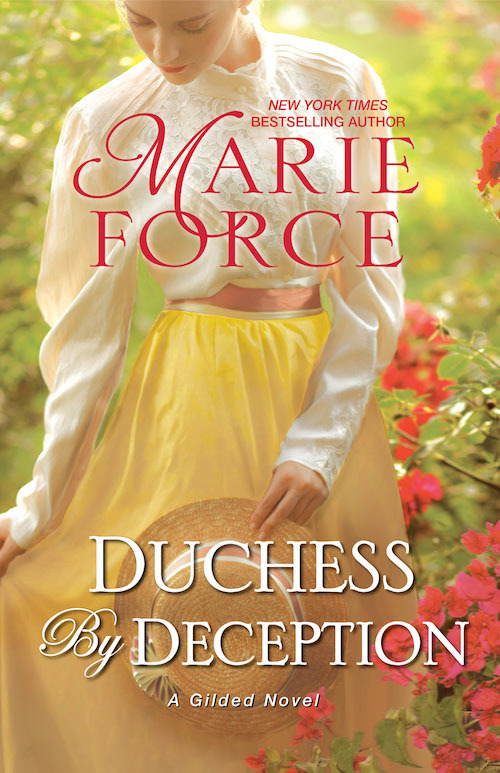 Today I’m sharing a review for a new historical romance from bestselling author Marie Force. DUCHESS BY DECEPTION is so different from the other books I’ve read from this author, including FATAL THREAT and CAN’T BUY ME LOVE. Interested? You can find DUCHESS BY DECEPTION on Goodreads, Amazon, Barnes & Noble, iBooks, Kobo, and Google Plus. Join Marie’s mailing list for news about new books and upcoming appearances in your area. Follow her on Facebook, Twitter, and on Instagram. Check out her website or join one of Marie’s many reader groups.